Are You Ready for a Produce Recall? Recalls have become a fact of life in the perishable produce industry. Every grower, marketer, and other company involved in the distribution chain is at risk for a recall, even if a contaminated product only passed through their hands and the distributor was not the source of the contamination. A recall arising out of a food safety incident can be a potentially catastrophic financial event for any company, however large or small. After the disaster that was Jensen Farms, any company which has not planned for and implemented a recall program before a food safety event is “betting the farm.” The first notice of a problem comes with a phone call, usually in the midst of a season at the worst possible time such as a Friday afternoon, from a sick customer, a retailer, or a government agency that a product you distributed is suspected of being unsafe. If the company’s recall program comprises a few pages in a “recall” spiral notebook that has never seen the light of day and has been collecting dust on the shelf of the lower level manager who wrote it, a bad situation just became a crisis. The risks today for food safety incidents and the financial repercussions for not having an effective product recall program in place and in advance of a problem are huge. This overview of recalls offers some practical advice from the perspective of legal counsel on the general factors a produce company should consider in planning for and implementing an effective recall program to protect the public by removal of a potentially dangerous produce item from the marketplace without bankrupting the company financially . The items in this list are not necessarily in order of priority and are, because of the brevity of this article, general in scope. The hope is that this article will motivate any produce company without a recall program in place to consider whether this should be made a priority, before the phone call comes that there is a problem. 1. Prepare, Practice, And Revise The Recall Plan, And Repeat. Once there is notice of the need for a produce item to be recalled, it is much too late for a company to learn how to do a recall. There is no time to learn what must be done. There is often not even time to fully implement an already developed recall program. Further, a recall is a scary situation. No one responds well in a panic and that is exactly what a company will experience if the notion of a recall is a new concept. What little time is available during a recall must be used to gather the best available evidence, make imperfect decisions based upon incomplete and potentially incorrect and inconsistent data, and implement the decisions made quickly if a produce item is contaminated. Minutes must be used effectively to get the best information so the best possible course of action can be chosen. There is no time to figure out what questions should be asked. And, certain issues involved with a recall cannot be done “on the fly” but must have already been investigated and decided on well in advance of such an event. Experts must be consulted and hired in advance so when needed, they are committed to be available to help and advise. Having a recall plan on paper that sits in a notebook, where there is no recall training, and the plan is never practiced under mock recall scenarios is essentially no recall at all. Every company must have a recall team, which is carefully chosen in advance and which may, and often will, also involve the retention of outside consultants and advisors. The team members must learn their roles and be intimately familiar with what is expected of them so when the alarm sounds, they are ready to spring immediately into action and know independently what needs to be done without being told. A recall is a fire drill. That drill is not conducted in a matter of minutes or even hours, but is often an extended, multi-day or even multi-week exercise, with little sleep for all involved while it is being conducted. Family obligations are put on hold. Tempers and emotions of everyone involved are on edge. Employees are overworked. The environment is stressful and occasionally even panic-filled. The best way for a company faced with such a crisis to by calm and patient leadership from the company’s management. The head of the company and all persons in senior positions must be trained and prepared to react as crisis managers, which may be quite a different mindset than the normal business culture of the company. Recalls are not business as usual and require specialized procedures. The best way for the managers of the company to exude confidence and be patient with the company’s workforce is if the managers themselves are confident and prepared, having been trained in recalls and having learned through practice and simulations what a recall is all about. It cannot be overemphasized that preparation for a recall is indispensable for a successful recall, and that means that training from the top down. Finally, a recall program is not a static policy. Key persons depart which may require a reshuffling of recall responsibilities. Laws change and regulations are issued that may necessitate a different way of dealing with governmental agencies. Participation in mock and simulated recalls may reveal deficiencies in the company’s proposed recall plan not previously apparent on paper. The company’s business may change. In response, a recall plan should be a living document that changes, evolves, and is refined over time as the company learns internally what needs to be done and what works best for you. 2. Ensure Traceability. Every distributor of perishable produce must have the ability to trace one step forward and one step backwards in the distribution chain. The goal, if not the mandate, is every single box of produce must be accounted for, including destroyed produce. The effectiveness of a traceability program can make all the difference between a limited recall based upon lots, container, or production date, as opposed to a massive and financially crippling recall of all products marketed over an extended time period. Just a few missing boxes may cost a company millions of dollars in an otherwise unnecessarily broad recall. 3. Consider Recall Insurance. Most companies have a policy of General Liability Insurance, also called Comprehensive General Liability. The problem in the food safety context is that unless there is a special endorsement, there is often no coverage for product recalls. And even if there is an endorsement, coverage will be very limited to a maximum coverage amount far below the total liability and also will not cover most recall-related costs of third parties and likely no recall costs of the company itself. A relatively new form of insurance available for the produce industry, which is continuing to evolve, is recall insurance. Such insurance covers various types of expenses and liabilities associated with a recall, including the insured company’s own (first party) recall costs and liabilities as well as recall costs of third parties (third party coverage) whom purchased the product from the distributor. Recall insurance is a part of the puzzle, but not a panacea. Such insurance is expensive in terms of the premiums. Further, while multi-million dollar policies are available, at a price in the tens of thousands of dollars, they will rarely protect the company from a massive recall. Finally, there are various sublimits, exclusions, and defined triggers that may leave a company uninsured for some portion of the recall costs. If a recall policy is obtained, a company faced with a recall should keep two thoughts in mind. First, all insurance policies require that the insured company give notice to an insurance company as soon as practicable of a possible insured event. Failing to give notice in some states may void coverage. Accordingly, while one of the first calls a company faced with a recall situation may make is to their lawyer, a call soon thereafter should be to the insurance agent or broker and also to the insurance company to make sure all insurers are advised of the situation, both by telephone first and then in writing, of the potential claim. Second, an insured owes a duty to cooperate in good faith with their insurance company. While the interests of the insurer and the insured may not always be aligned, the insurer is not necessarily the enemy and may be very helpful in the recall context. It is also important that the insurer have a point of contact at the company conducting the recall to be kept up to date on all developments and so the company can timely respond to all reasonable requests for information from the insurer. 4. Get Professional Advice. Whether it is reading the complicated text of recall insurance policies, advising about food safety laws, or responding to governmental inquiries at the time of a recall, a company’s attorney can provide valuable assistance in the recall context. There are also other professionals that a produce company should hire in the case of a recall, and preferably already have on retainer before a food safety event arises. Such professionals include a competent insurance advisor (to assist in shopping for the best recall insurance), a public relations and communications consultant (to deal with the press and act proactively through the media to protect the company’s reputation and assure the effectiveness of a recall), and recall experts (whose primary business is advising clients on recall procedures). For instance, as to the class of recall experts, many recall insurance companies offer coverage for various recall experts who can help the insured company manage a recall. Such specialists may even be paid for by the insurers to advise the company in advance, and at no cost to the insured, on recall planning. Trade organizations, such as United Fresh Produce Association, offer educational recall training seminars and onsite recall training geared to creation and implementation of a recall program for each specific company to meet its unique needs. 5. One Positive Test Result Is Determinative. Produce companies need to give up any realistic hope they can test their way out of a positive test result for salmonella, E. Coli, listeria, or any other serious food pathogen or contamination. When there is a positive laboratory result that is not facially defective, no amount of subsequent negative test results will white wash the prior positive result or change the calculus on whether a recall is mandated. Taking more samples and waiting days for further test results is not the answer. 6. Accept The Need For Imperfect Decision-Making Based Upon Inadequate Information. A decision to recall produce is an incredibly difficult decision, like sailing in a narrow passage between the twin terrors of financial ruin and the paramount need of protecting public safety. This decision is all the more challenging because there will never be perfect clarity of the facts until after the recall is already over. The data available to the company will be incomplete, ambiguous, and conflicting. Like on a battlefield, there is an inherent “cloud of war” in the recall context that will make perfect decision-making impossible. That is the reality and it is critical that the company know and accept that fact. Otherwise, the likely deficient flow of timely and accurate information may paralyze the company and negate the implementation of a timely and effective recall. 7. Assemble Your Recall Team. Recalls require a team and that the team work together. While a company may be run by a very small group or even just one hands-on manager with all decision-making authority, using that same approach in the recall context risks the effectiveness of the recall process. Employees who need to act independently but are conditioned not to move forward or decide on their own without the ultimate decision-maker’s prior approval result in prejudicial delay and paralysis when quick action is most needed. No one person or even small group may effectively conduct a recall. The company must choose the team in advance, train them, and also have alternate personnel also trained in case a primary team member is unavailable. The team must be composed of the right person for each job, whether, for example, it is the receptionist who is bombarded by a flood of calls or a logistics manager charged with determining traceability of a suspect shipment. And, the recall process should be tested to make sure that no team member has more tasks than can reasonably be performed and that the timing of their assignments is not so compressed or concentrated that the work could never get completed by one person alone. 8. Be Aware Of And Beware Indemnification Clauses In Distribution Contracts. It is becoming the standard in the produce industry, not just in supply and distribution agreements with major national customers, to insist upon broad contractual clauses for indemnification of all costs related to a recall. These clauses can be hidden contractual time bombs, imposing potentially massive liability from a customer’s recall on the upstream distributor. Such clauses are not meaningless boilerplate to be ignored. One recall may trigger other companies to also conduct their own recalls and, depending obviously on the volume of produce at issue, can cause result in massive costs duplicated among multiple customers. Overbroad indemnification clauses can seriously escalate a company’s recall liabilities. By the same token, negotiating strong indemnification clauses can provide a de facto form of recall insurance for a downstream recipient of produce, by making the company which distributed the produce to you contractually liable for all of your recall costs. If that upstream distributor has major assets or substantial recall insurance, this is a kind of free insurance securing a company’s recall exposure. 9. Commit To Food Safety As The First Line Of Defense. For numerous reasons of which most of you are already familiar, food safety is not just a “hot” topic today but is a permanent reality for the future. Obviously the best way to prevent a recall is to maximize food safety and prevent the food safety incident in the first instance from occurring. On the other hand, even the most diligent produce company with an exemplary food safety record may face the need for a recall. The reason is that there is no perfect solution in the industry that can guarantee the safety of produce. For example, listeria is a long-lasting, resilient food pollutant that lives well in heat or cold. There is no known technology, whether with chlorine baths or otherwise, that is guaranteed to kill salmonella and eColi on all types of produce. And, given that many hands may touch a product after it leaves each company in the distribution chain, the risk of contamination is multiplied. Notwithstanding this reality, a company’s first defense should still always be a commitment to food safety to at least minimize the risks as best possible. 10. Explore Asset Planning Before The Recall. In the present litigious environment in the United States and given the potentially massive risks financially from a food safety incident and a consequent major recall, a company not properly structured legally may find that having all of its eggs in one corporate basket is a major problem. Having an entire business’ assets owned through one company may be akin to having a submarine with no waterproof doors to be shut in case of a leak in one compartment. The result is like such a submarine that springs a leak, floods, and sinks. A business with all of its assets in only one company that is faced first with third party liability from food safety contamination and the potentially massive costs from a recall may have no choice but to seek bankruptcy protection. Financial ruin need not always be the case. State law offers legal ways by which a company’s assets and its various businesses may be structured in separate entities or through lending arrangements that protects them if a disaster occurs. But, the only way such structuring works and will survive scrutiny in the courts when a major crisis is encountered is if the asset planning is completed in advance. After a recall is necessary, it is much too late. Any asset planning subsequently done will be suspect and potentially ineffective as a fraudulent transfer. Asset planning is an apt subject on which produce companies should seek the advice of legal counsel in advance of a recall so that if the worst case scenario occurs, the law itself may protect the company. In conclusion, recalls of produce are a major business risk that every produce company should plan for in advance to mitigate the adverse consequences if a recall is deemed necessary. Henkel & Cohen, P.A. 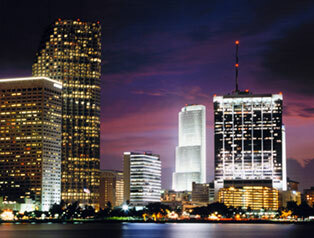 is a Miami, Florida boutique business litigation law firm whose partners hold the highest AV rating from Martindale-Hubbell®. 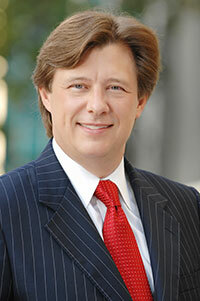 For additional biographical and contact information, please visit the firm's website at www.miamibusinesslitigators.com. Missing the Mark: Patent Trolls Are Targeting Your Products (and Your Profits)! Registering Trademarks and Patents in Cuba: ¿Demasiado Poco y Demasiado Tarde (Too Little, Too Late)? Federal Litigators: Have You Done Your Preliminary Homework On The Judge(s) Assigned To Your Case? Question: What’s on the Franchise Menu? This is an advertisement. The hiring of a lawyer is an important decision that should not be based solely upon advertisements. Before you decide, ask us to send you free written information about our qualifications and experience. This website offers general information about our firm and general legal subjects but should not be understood as the provision of legal advice nor the creation of an attorney/client relationship. © 2011-2019, Henkel & Cohen, P.A. All rights reserved.